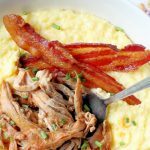 A few simple ingredients make for a standout meal with my Slow Cooker Apple Butter Glazed Pork Tenderloin served over cheesy grits with a side of bacon. 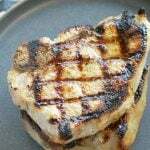 Thank you to the Ohio Pork Council for sponsoring this post. This is my land-locked, Midwestern version of a Southern classic. I have had some pretty stellar shrimp and grits on my family’s Florida vacations over the years. But I pretty much save that dish for when I’m near the water. When I’m in Ohio I like to buy local and choose Ohio pork for our dinners. With that in mind I decided that pork and grits needs to be a thing here in my Ohio home. Pork tenderloin absorbs whatever flavors you add to it so well. 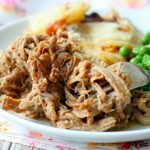 It’s a very lean cut of pork but it cooks up juicy and tender every time in the slow cooker with very minimal effort. To pair with my cheesy grits and bacon I decided apple butter should be the star ingredient of my glaze. 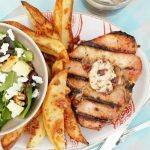 The dry rub that goes on first has just five ingredients and then the pork is smothered with a mix of apple butter, apple cider vinegar and a little whole grain mustard. The flavor in this dish is superb with a lovely balance of sweetness from the apple butter and salt from the cheddar and bacon. 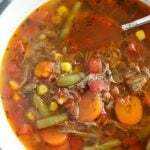 I use a 6-quart slow cooker similar to this one for my slow cooker recipes. 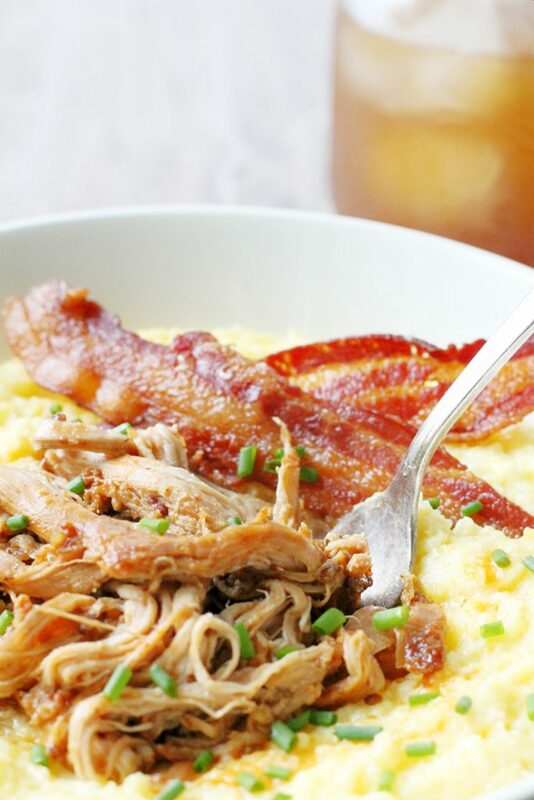 Click HERE to find the recipe for cheesy grits to serve with this slow cooker pork tenderloin. You don’t have to serve bacon on the side, but why wouldn’t you? Click HERE to find the best way to cook your bacon. A few simple ingredients make for a standout meal with my Slow Cooker Apple Butter Glazed Pork Tenderloin served over cheesy grits with a side of bacon. Mix together the brown sugar, salt, smoked paprika, garlic powder and thyme and rub it on all sides of the pork tenderloin. Place the tenderloin in the slow cooker. Whisk together the apple butter, apple cider vinegar and mustard. Pour evenly over the pork. 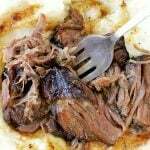 Put the lid on the slow cooker and cook the pork on LOW (6 - 8 hours) or HIGH (3 - 4 hours). Shred the meat before serving. 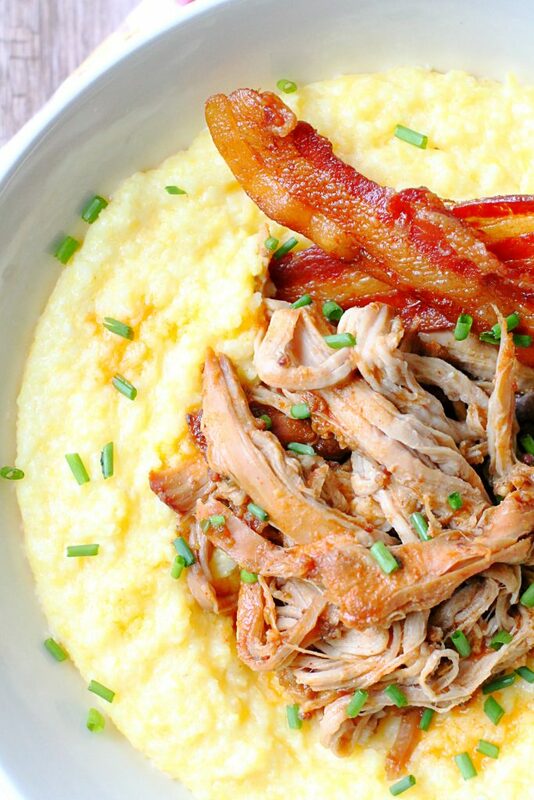 Serve the pork with cheesy grits and bacon. 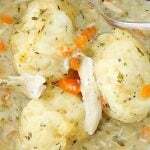 Those cheesy grits sound lovely – I wish we could find grits here in the UK! Is it the same as polenta? You described the recipe so good. 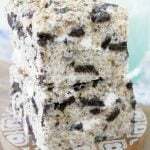 Definitely going to make this. I’ve had a slow-cooker for about 3 months now and I only cooked chicken there. I’ve used to cook pork tenderloin only in the oven, but I love your recipe and going to make this soon. Thank you so much Iryna. I’m so glad you are going to try it! 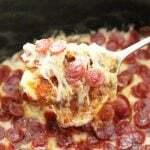 This looks so delicious and comforting! Pork and apple just go so well together. Thank you I hope you try it! Thanks so much April. I hope you took the survey… never hurts to have a back up 🙂 I appreciate the kind comments! I keep forgetting to use my slow cooker – which is crazy right. I should bring it back out and try this. I am going to try your recipe for this pork tenderloin. It sounds wonderful! I tried to enter the contest and had everything filled out down to the bottom where it ask for the state and I couldn’t get it to accept anything but when I hit submit it says I left that question blank so I couldn’t enter. I would love to have a LeCreuset Dutch Oven!! Thanks so much Donna! I know the link was having some issues the other day. You might want to go in and try it again. That’s the only way I know to make sure that you are entered to win. Good luck!!! I love the pork and apples, applesauce or apple butter combinations. 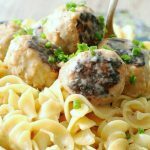 Great fall meals! 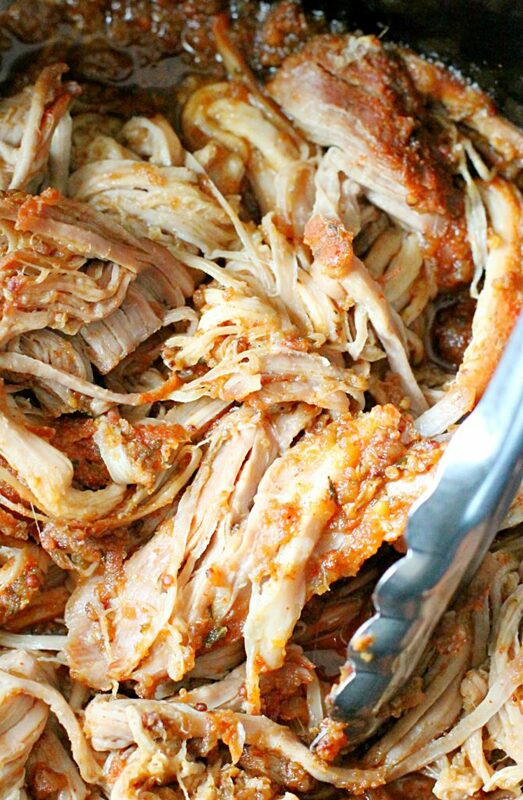 The slow cooker is seriously my favorite way to cook pork. Is that pork over cheese grits?!!!!!! Girl…awesome idea! 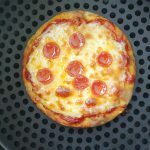 This looks amazing, I can not wait to try it! I love the flavors in this! Apples and pork go so good together, so I’m sure this apple butter is wonderful. I especially like that you serve it over grits! 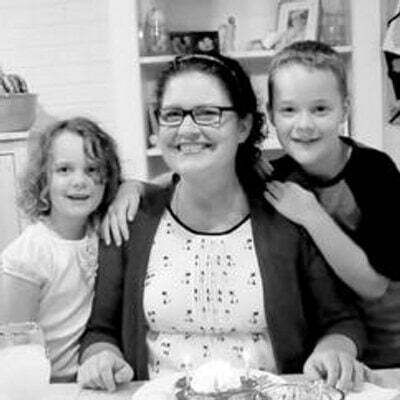 What a delicious recipe- my kids love any recipe that involves brown sugar. Can’t wait to try this pork soon. This sounds like the perfect flavor combo! Why do I never think of making grits? I’m sure my family would love them! Thanks for the inspiration! Grits are for sure one of my favorite sides. So simple! This recipe scream so much yas. 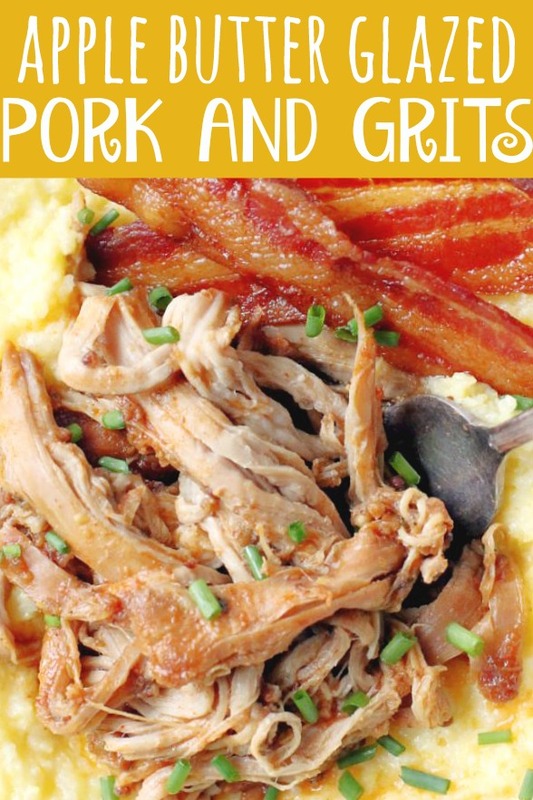 I never would’ve thought to have pulled pork in my cheesy delicious grits. Then you go and put one of my all time favorite things in the world on it, apple butter! I am totally and completely sold. Yay! 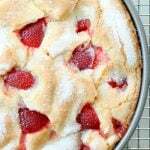 Hope you try this recipe! I was cleaning out my freezer today and found some pork tenderloin. I was wondering what I was going to make with it. This sounds like a plan. I love my slow cooker. This is going to be good. 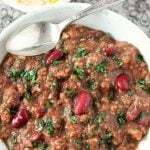 Interesting recipe! At 1st I thought ‘grits’ were root vegetables but now I am thinking they are a grain, like polenta as per comments is that right? Is it another name for polenta or is it slightly different? The pork sounds fab, cheers! They are both corn. Polenta is made from yellow and is more course. Grits are made from white and is finer. But they are VERY similar. I hope you try the pork! Do you think I could half this recipe and only use a pound of pork tenderloin? What adjustments would you make? Can’t wait to try!